1/12th Scale Collectable Dollshouse Miniature. 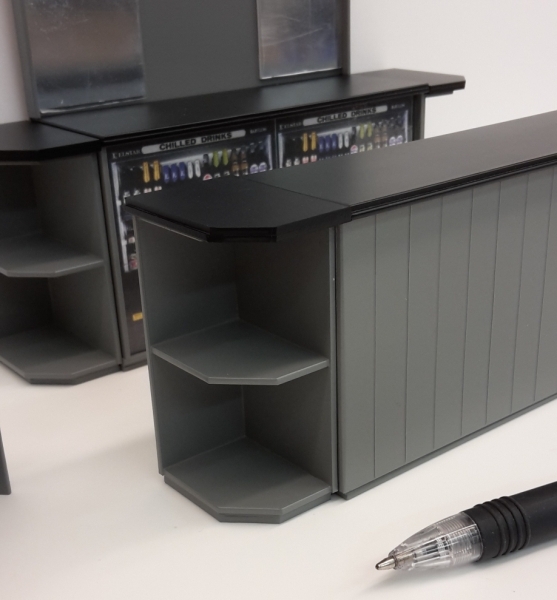 This end corner shelf finishes off the end of the bar nicely and has shelves for advertising stock or for nik naks to personalise your mini bar/pub. 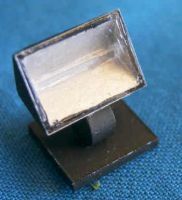 Seen here is the LEFT hand end version, but we have the right hand end available too. Please choose Left or Right (as viewed from the front of the bar) below.